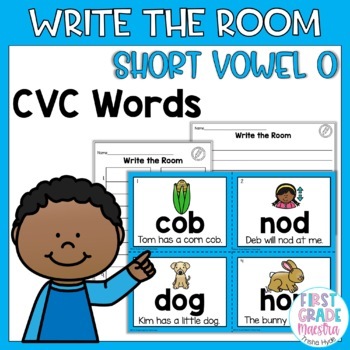 Your students will love this Write the Room Short Vowel O CVC literacy center. 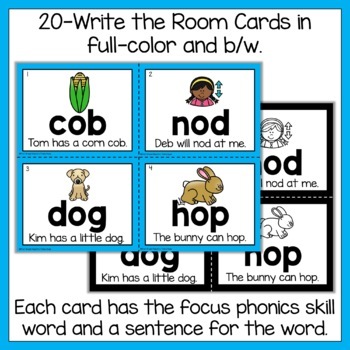 This write the room includes 20-word cards that include the short vowel O cvc word and each word used in a simple sentence. Reading words in context is so important to early readers as it helps cement the word into their long-term memory and provides meaning to the word. 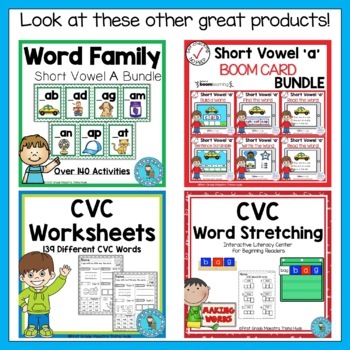 Also included are three different recording sheets which are great for differentiation. 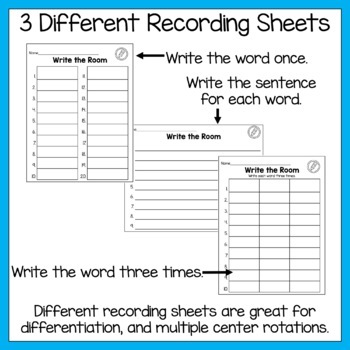 Recording sheets include write the words once, write the sentences, and write the words three times. My students are very engaged with this center and yours will be too!